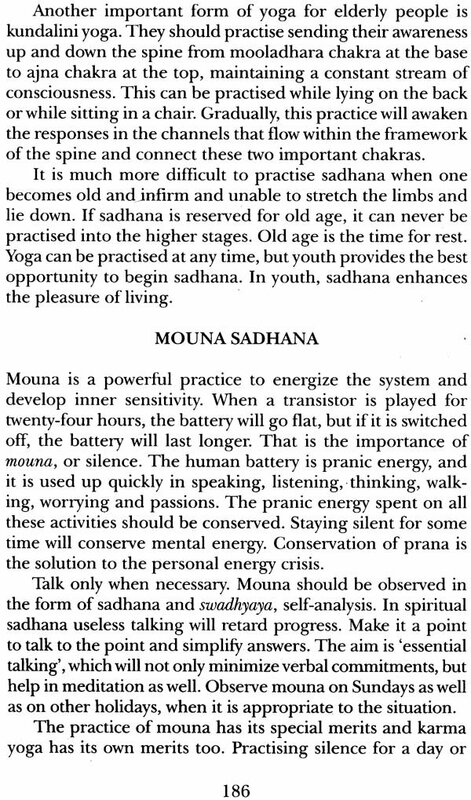 Sadhna is the personal efforts one makes to evolve oneself and who one is. The wisdom contained in this book takes the concept of sadhana from the confines of mysticism and philosophy to a practical reality for everyone and provides in invaluable link between the practitioner of sadhana and the revealed knowledge of enlightened beings. The teachings explain how sadhana leads to inner transformation and evolution of consciousness and inspire the reader with practical ways to merge higher spiritual ideals into daily life for the benefit of all. 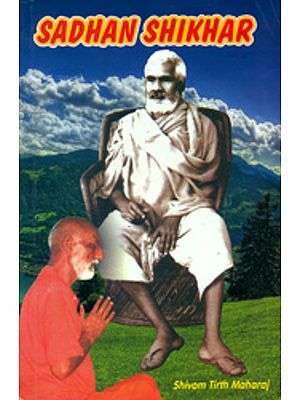 Sadhana: The Path of Transformation is compiled from the teachings of two great Indian sages, Swami Sivananda of Rishikesh, and his disciple, Swami Satyananda. 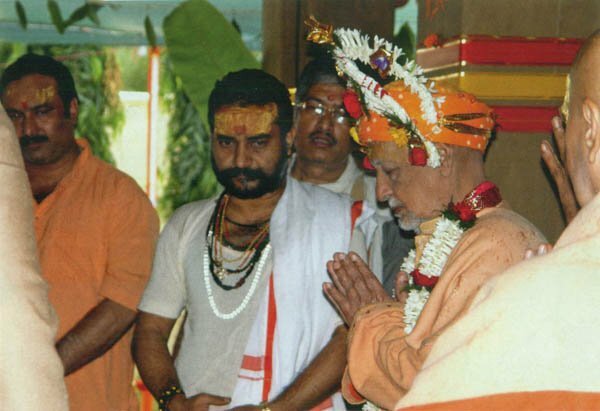 It is offered with their blessings to all spiritual aspirants who seek the means to permanently improve their way of life by uplifting the quality of their mind, perception and awareness. 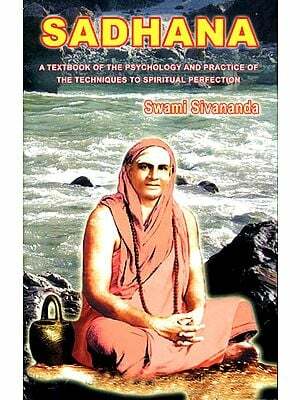 This book about sadhana is compiled from the enlightened teachings of two great Indian sages, Swami Sivananda of Rishikesh, and his disciple, Swami Satyananda. It offers a deep understanding into sadhana and provides an invaluable link between the practitioner of sadhana and the revealed knowledge of the spiritual masters. 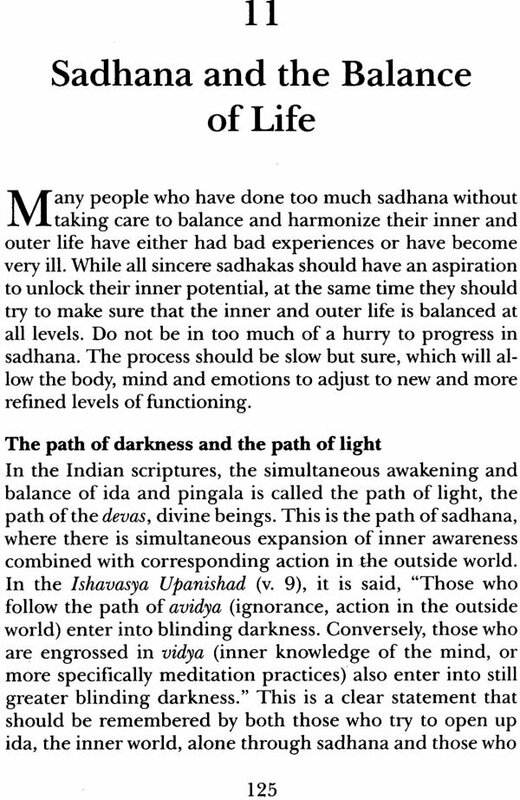 In these teachings, Swami Sivananda and Swami Satyananda clearly explain that the basis for all spiritual sadhana is the personal evolution of the sadhaka. 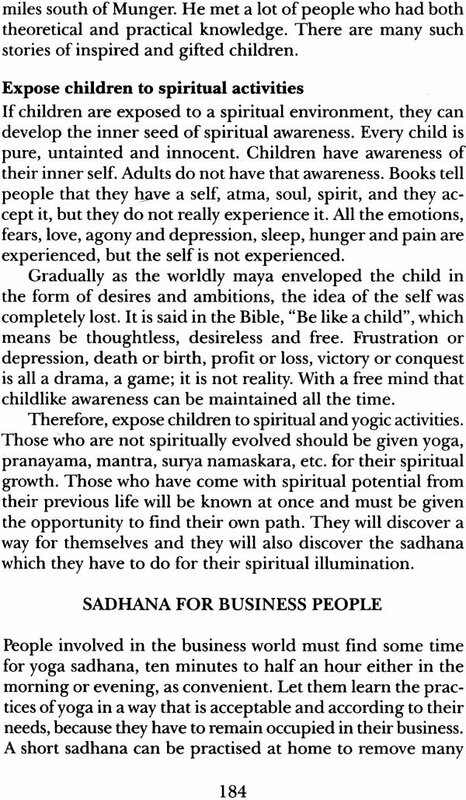 They talk about sadhana as a spiritual quest, as. a means of shifting one's superficial perspective of life into a higher dimension so that every moment of life can be dedicated to higher ideals. The ultimate purpose of sadhana is concerned only with practical ways of unfolding and awakening the potential already existing in every person's being and transforming life into an expression of joy. Sadhana aims at developing an integrated personality, developing better control over the mind and making it more creative. These teachings illustrate how sadhana is a practical method to completely overhaul the instinctive nature and to gain mastery over all circumstances by facing them and learning how to resolve them in a positive, uplifting and peaceful manner. The details of how this process of transformation unfolds are also discussed. 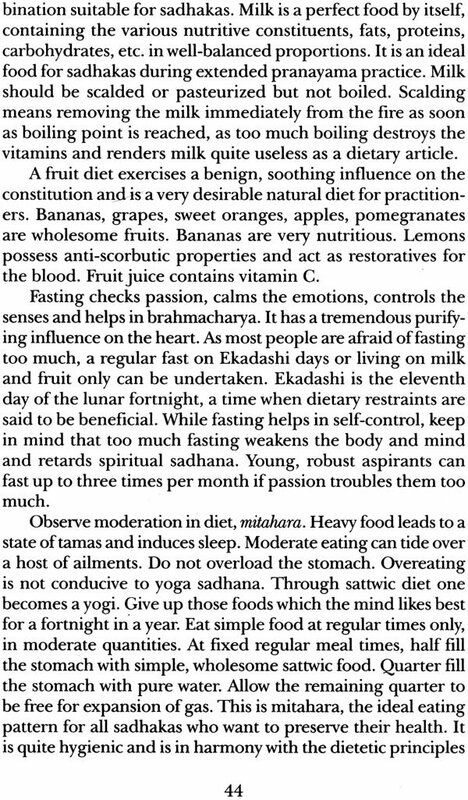 Inspiration, guidance and advice relevant to the various temperaments of aspirants interested in sadhana are an integral feature of these teachings. 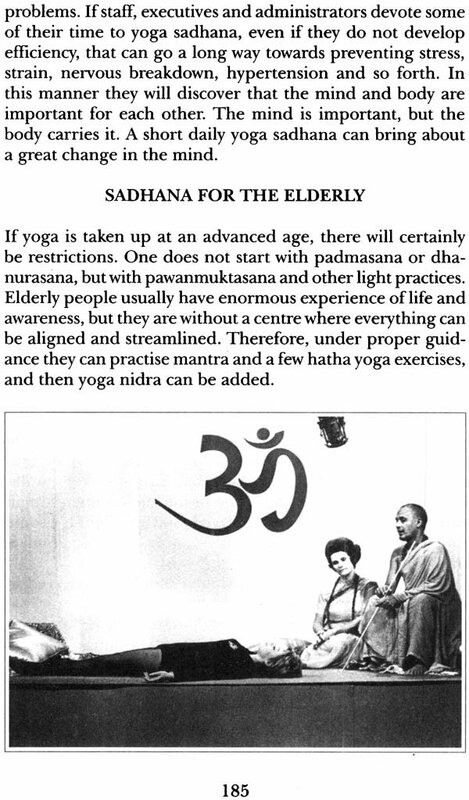 Furthermore, the teachings are down to earth and realistic; they are a special gift to all who practice sadhana as they encourage proper understanding and support all who take up the spiritual quest to reach higher stages of sadhana. 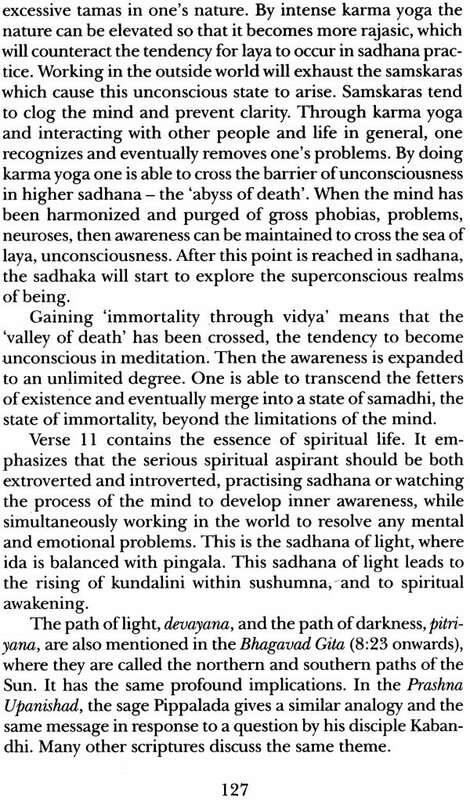 Each chapter reveals a wealth of insight into the important aspects of the purpose, necessity and practice of sadhana. The foundations of sadhana are considered, including faith, satsang, self-study, transcending the intellect and mental equilibrium. 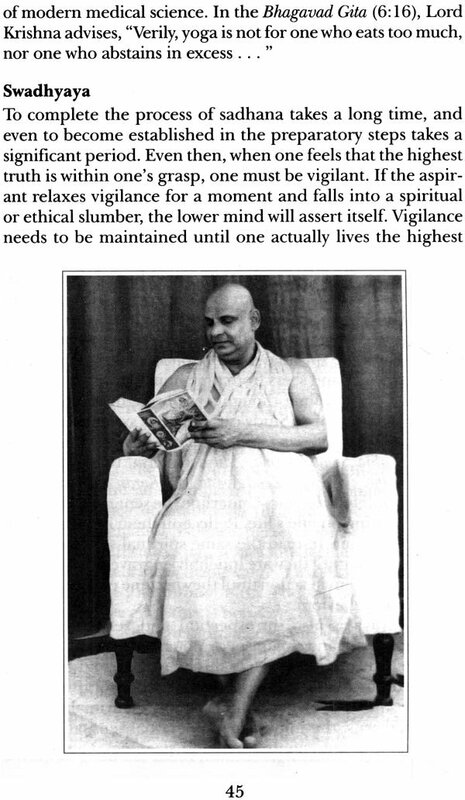 The fundamental requisites of heightened awareness, inner silence, strength of will and endurance, regularity and continuity of practice, and the gift of God's grace are explained in a manner that will enhance the sadhana of the experienced and provide valuable essentials for the beginner. A sincere aspirant will definitely come across obstacles which are a natural outcome of the mind's entry into spiritual life. In the face of such obstacles even the most experienced sadhakas may falter, become disillusioned and waver in their convictions. However, the perspective of the enlightened masters gives insight into the meaning of purification and such obstacles are viewed as divine chances that help to purge foreign matter from the soul. Whatever experiences are undergone are all a part of sadhana, not detrimental to it. Sadhakas are reminded that God creates every event with a great purpose behind it. 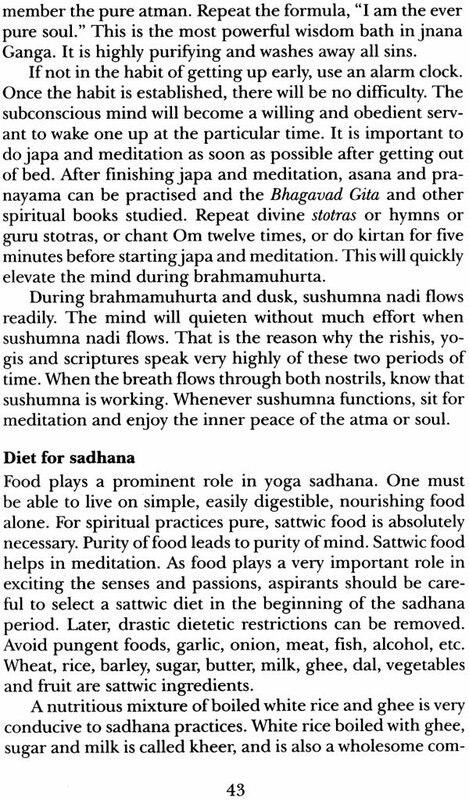 Specific sadhanas illustrate the teachings, and a variety of sadhanas are also explained, including remembering God's name, japa, prayer, mouna, kirtan, the four yogas, keeping a spiritual diary, etc. However, the recommendation that all sadhana practices be learnt from an experienced teacher is also given to ensure that harmful side effects are avoided. 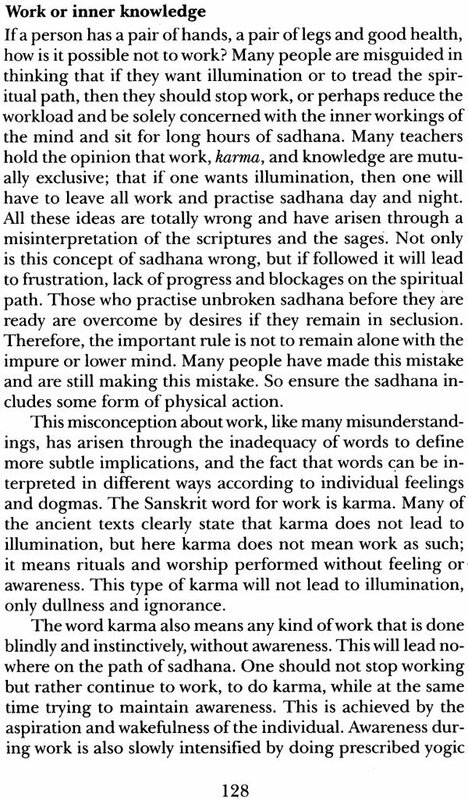 Welcome words of warning and caution highlight both the major and minor pitfalls on the path of sadhana. Patience, perseverance, vigilance, sincerity and earnestness are required at every step of the way. However, special emphasis is given to the role of guru who initiates one into sadhana and then gives the inspiration to remain on the path. 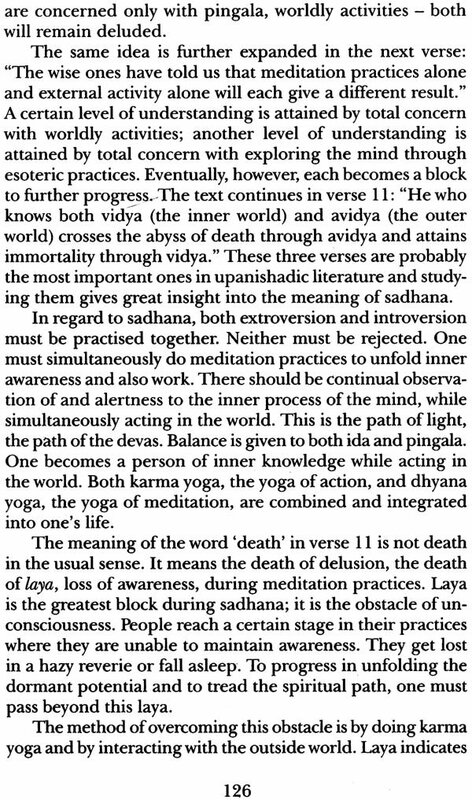 The teachings explain how the process of sadhana takes the aspirant through the deepest layers of the mind, where all the impressions of past experiences are encountered. 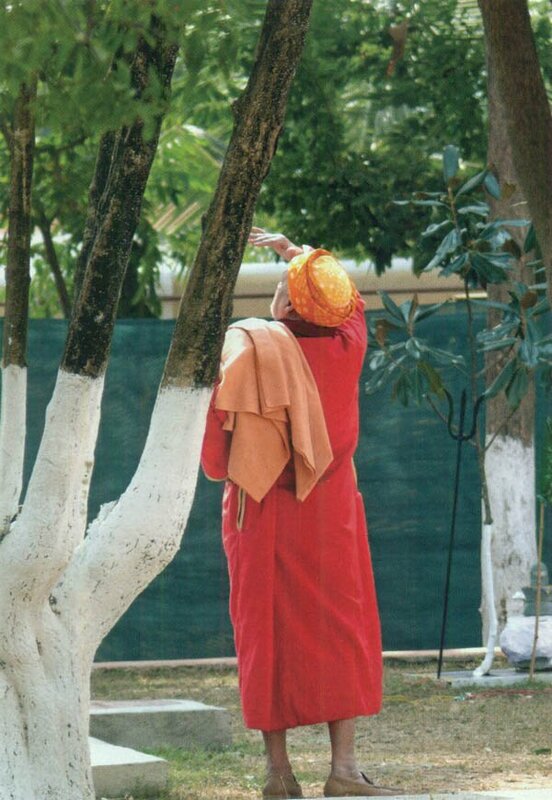 To maintain equilibrium at this point of sadhana, the guidance of an experienced guru is essential. However, remember that the guidance and advice of experienced masters is always available to those who seek it. 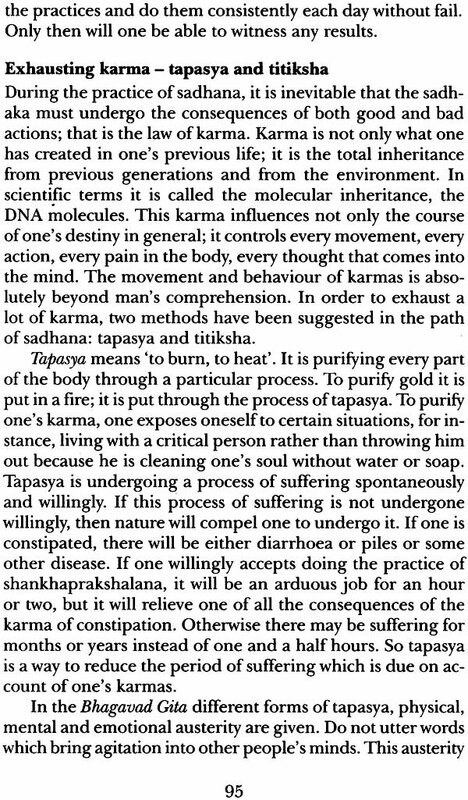 Every sadhaka has a particular karma, personality, desires, passions, idiosyncrasies and infirmities. In the scheme of evolution, everyone is standing at a particular point. 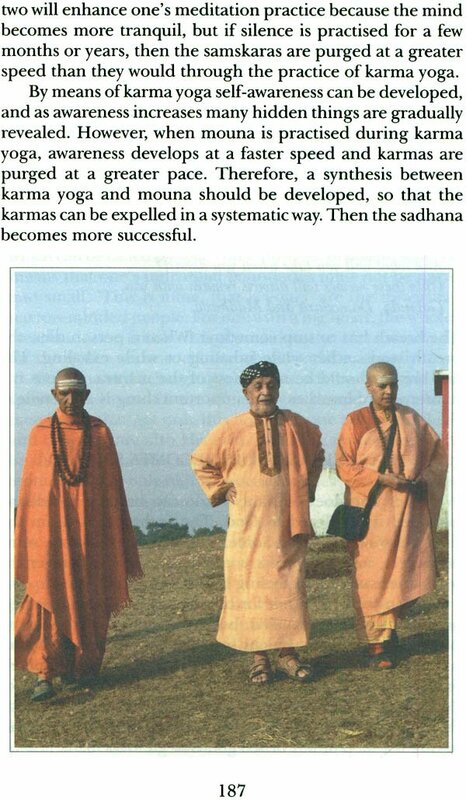 It is from that point that sadhana must be begun. Aspirants are encouraged not to be in too much of a hurry. Rather progress should be slow but sure, which will allow the body, mind and emotions to adjust to new and more refined levels of functioning. After all is said and done, sadhana is a sacred act, something to be held in great reverence. 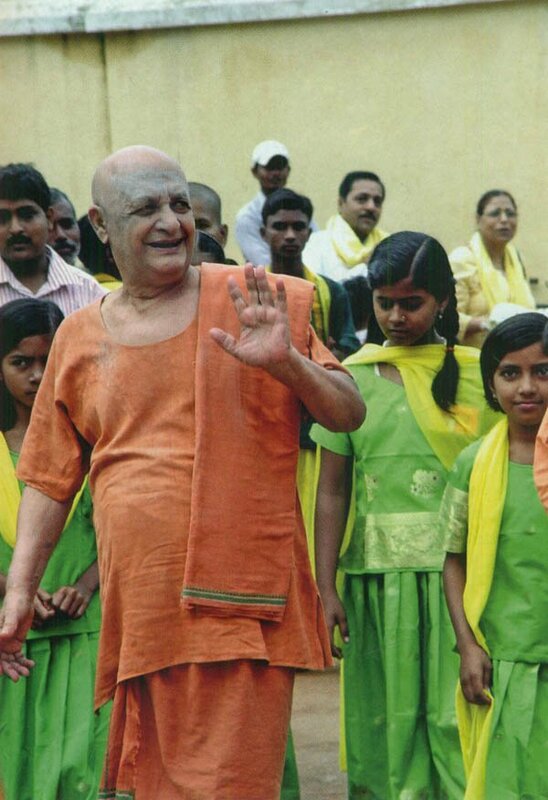 Swami Sivananda and Swami Satyananda remind practitioners of sadhana that they have a responsibility to try their utmost to maintain the spiritual meaning of sadhana. Sadhakas must aspire to eventually carry the higher spiritual values of life, cultivated in sadhana, into every situation. 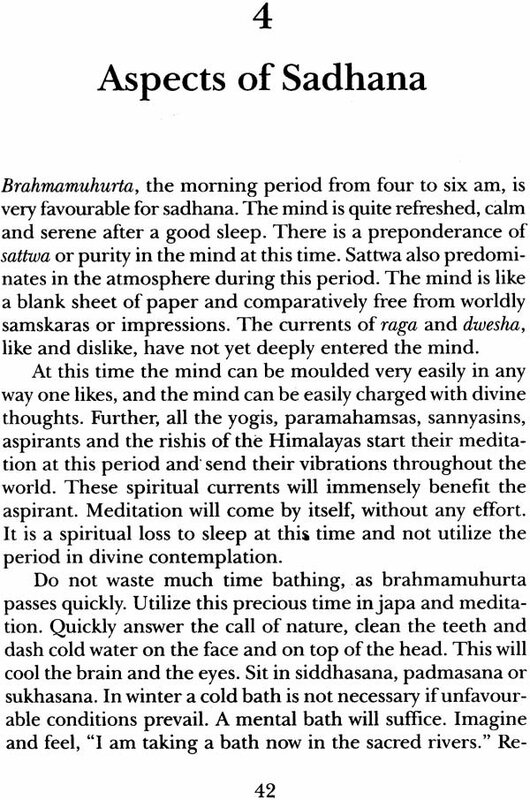 Sadhana is to be practised for the sake of all creation. Although the aspiration for self-perfection is necessary, it must be combined with an interest in the welfare of other beings and the environment in which one lives. There has to be regard for oneself and others.